The countdown to the biggest day of my life flashes prominently on my carefully-crafted wedding website and my thorough Knot.com profile, quantifying just how much time I have left before my CatholicMatch boyfriend turned CatholicMatch finance becomes my husband. Even though there is a lot of time before our big day, the how-to books and online guides have almost convinced me that time is running out before the save the dates have even hit the post office. The wedding world that I am now immersed in might as well just plainly say that each hour, each minute and each second not spent obsessing over table linens, first dances and my honeymoon packing list are wasted. The element of time drives every vendor meeting as we count backward from our wedding date, but even the questions from my friends and family suggest that the clock is ticking. When is your wedding again? The countdown to my wedding has already begun. Like most brides, I have years of hopes and dreams bundled into a delightful feeling of anticipation for my wedding day. I joined CatholicMatch like many of you did – unsure and skeptical, with a small dose of hope – and the fact that I can even write about my experience as an engaged woman is an answered prayer. An Autumn wedding may not be logistically perfect, but I will walk down the aisle and recite ancient vows in front of God to the faithful man whose last name will become my own. It’s not a fairy tale. It’s real life and a blessing from God that I am just beginning to comprehend. I find it interesting that the majority of people ask, “When are you getting married?” It’s as if everyone is asking me when I will don a beautiful white gown, carry a bouquet and become a bride. I give them the date, but it’s not just the day I become a bride – it’s the day that I become a wife. I will say “I do” and forever join myself to another in the sacrament of marriage. “Two will become one,” and I will no longer live for just me. I will die to myself every day and selflessly love my spouse more than anyone else. I’ve already spent hundreds of hours preparing for my wedding day from the Mass to the dinner to the dance, but when the final guests retreat to their hotel rooms after a night of dancing, I will no longer be a bride. I will be a wife. As Catholics, we know that a wedding is not just a big party. It’s a holy sacrament and as our priest recently pointed out in a marriage prep session, it’s the only sacrament that we as lay people completely control. While a priest is present as a witness and a symbol of God, the priest does not marry us. We marry each other as we recite our vows. How cool is that? You always had something to do, decisions to make, places to be, people to not only spend time with, but who were desperately trying to assist your every whim. And now it’s over…Whether you choose to admit it or not, wedding planning became your pastime. In the days before my wedding, I may do my fair share of wedding planning, but my only true “pastime” will be preparing for the commitment I will make and live out every day after that. The countdown is not just for that day – it’s for a lifetime together. No wedding planner or Pinterest board can prepare us for that. Only prayer, thoughtful conversation and a commitment to our core beliefs will carry us to the altar. So perhaps my countdown has been off all along. Maybe my master wedding timeline should point to the day after my wedding, the day after the party has ended and my new life as a married woman begins. 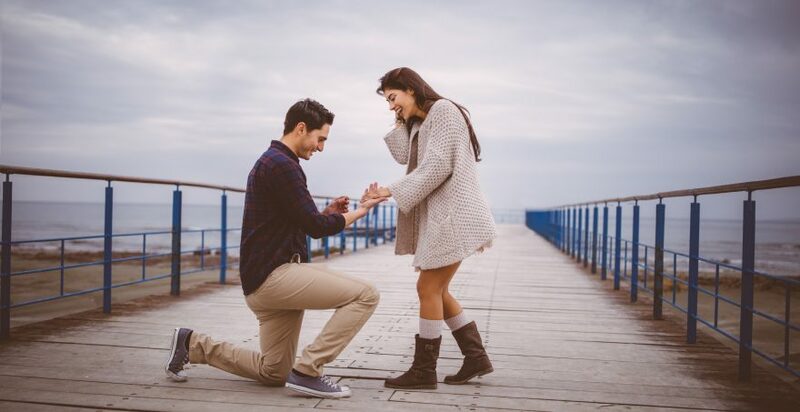 Article originally published by CatholicMatch Institute, which provides resources to help single Catholics develop a strong foundation for marriage through advocacy, programs, and scholarships. Used with permission. Planning your wedding is a way to grow spiritually as a couple.